Taking place on Thursday 16th August at 10.15. Meet at the ‘Wellow’ Pub Car Park, Kings Road, Cleethorpes DN35 0AQ. 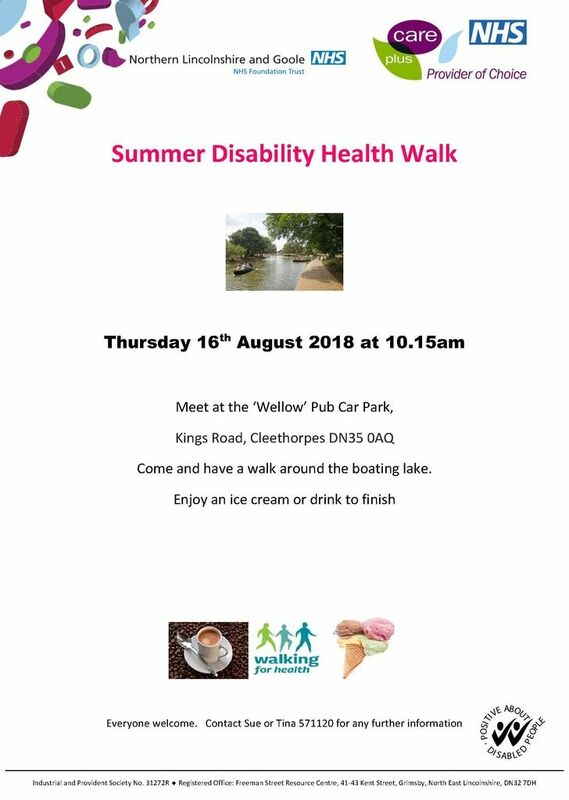 Come and have a walk around the boating lake. Enjoy an ice cream or drink to finish.